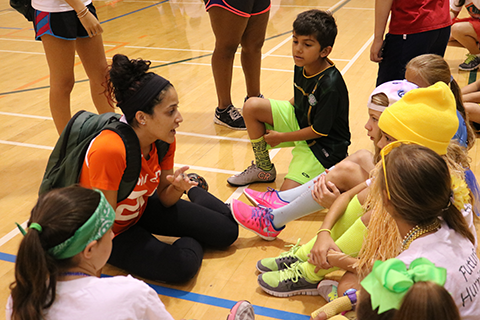 A gift of $10,000 will provide full-summer scholarships to five children who otherwise would not have the opportunity to attend Mini Canes Recreational Sports Camp. Mini Canes Camp offers educational and recreational experiences in a safe and high-quality learning environment to children ages 6 to 12 years old. The goal of Mini Canes Camp is to teach campers the importance of developing lifelong sports and recreational skills, all while having fun. Mini Canes Camp has been named one of the top summer camps in Miami-Dade County by South Florida Parent Magazine. Camp activities include daily swim lessons, sports and games, wellness education, arts and crafts, and cooking lessons. Contact Tom Soria at minicanescamp@miami.edu to make a gift to Mini Canes Camp.